The Cove Civic Centre is a versatile facility containing a number of spaces for hire to both the business sector and the wider community. Our two Large Meeting Rooms accommodate up to ten guests while our two Small Meeting Rooms accommodate up to five guests. 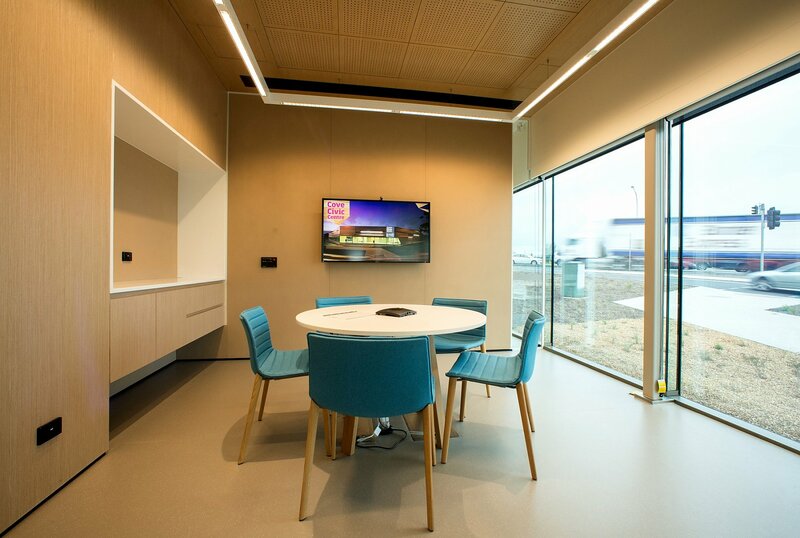 These quiet rooms can be hired on an hourly basis and include a laptop with LCD screen and access to Cove Civic Centre’s high-speed Wi-Fi. These rooms also provide access to a USB web camera and microphone. An open kitchen is available for use by hirers of the main hall and the community. This includes access to the oven, microwave and coffee machine.